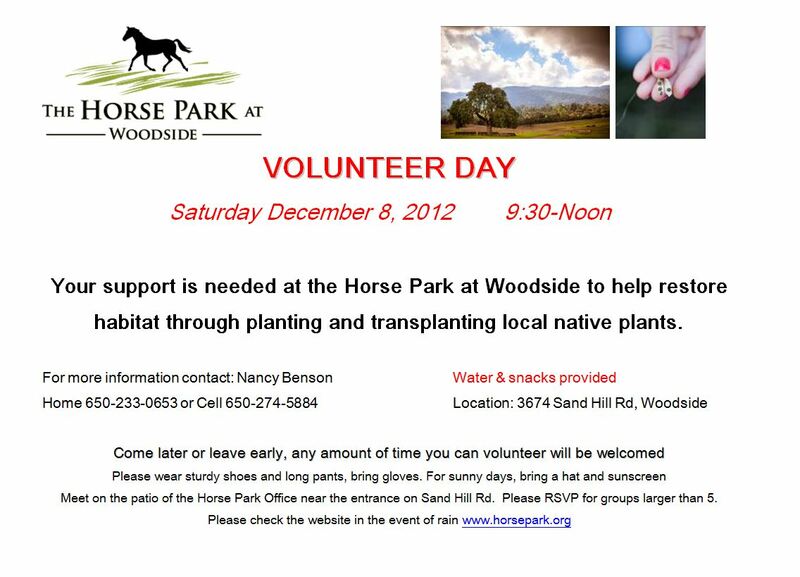 Creekside will be coordinating a volunteer day on Saturday Dec 8th at 9:30 am at the Horse Park in Woodside. This fabulous site hosts native grassland, oak woodland, oak savanna, and a mix of other habitats. We will be working on helping maintain the soil integrity of a drainage by transplanting local native shrubs and grasses from another site on location. We will be concentrating on coyote brush and creeping wild rye as our two key native plants for soil stabilization. Participants will learn about the restoration process, transplanting techniques, and get their hands dirty! Please see more about the day in the flyer below. Please contact us at lech@creeksidescience.com with any questions.